Lebanon may be small in size, but that hasn’t stopped this diminutive nation from developing a reputation as one of the top tax havens in the world. Unfortunately, this distinction means that Lebanon attracts not only American expatriates, but also the vigilant attention of the Internal Revenue Service (IRS). Whether you’re concerned about your compliance with federal tax laws, or you’re still planning your move overseas and simply want to go over your tax responsibilities before you depart, CPA Ted Kleinman can help. Ted specializes in handling complex international tax matters, and brings over 30 years of practical experience to every client he works with. To set up a free, private appointment with Ted, call US Tax Help right away at (541) 923-0903. I’m Moving From the US to Lebanon, Do I Have to File a Tax Return? 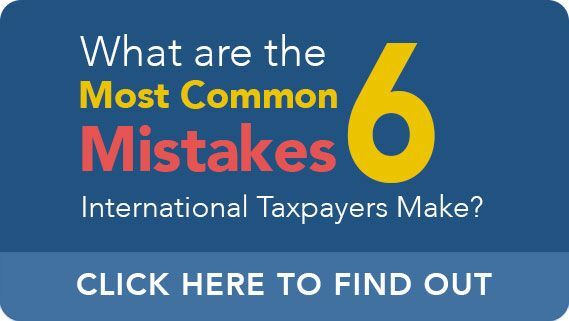 Many people are surprised to learn they are still subject to IRS reporting requirements – even after they relocate out of the country. You may be leaving the United States, but unfortunately, you cannot leave its Tax Code. On the contrary, the IRS and Department of Justice (DOJ) have gained a certain notoriety for aggressively pursuing taxpayers far beyond the boundaries of US territory. 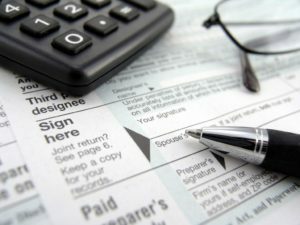 As an expat living in Lebanon, you are required to file an annual tax return. However, expatriates are also granted various deadline extensions. The first extension pushes the normal filing deadline from April 15 to June 15, while the second deadline lasts until October 15. To apply for a deadline extension, taxpayers should submit Form 4868 (Application for Automatic Extension of Time To File US Individual Income Tax Return). If you have back taxes from previous years, it is critical to speak with a CPA immediately. The longer you delay the proper filing and payment of overdue taxes, the more difficult it will be to resolve the matter efficiently. While the IRS is often willing to accept installment agreements in cases of financial hardship, the intentional or “willful” failure to file or pay taxes can result in criminal prosecution by the DOJ. If the defendant is convicted, he or she will be subject to the imposition of devastating fines and lengthy prison sentences, as well as the creation of a burdensome criminal record. Taxpayers should note the above list is not exhaustive and does not account for every possible act of fraud or other tax crimes. The violations set forth in the IRS Tax Crimes Handbook are too numerous to itemize here. If you have any questions or concerns about your tax compliance in current or previous years, no matter how minor, it is in your best interests to contact an experienced CPA immediately, preferably before you speak to the IRS. As noted above, US citizens and resident aliens abroad are expected to file and pay taxes. Even if you have expatriated or plan on expatriating in the near future, you must still report global income to the IRS. While willful failure to comply with applicable provisions of the Internal Revenue Code can result in imposition of the aforementioned criminal penalties, there is one way to dramatically reduce your exposure to criminal prosecution: The Streamlined Offshore Procedure. The Procedure is a relatively recent program, introduced around the same time as FATCA, or the Foreign Account Tax Compliance Act. The IRS periodically implements updated versions of Streamlined. While the specific rules and requirements of Streamlined vary from year to year, the basic objective of the program remains unchanged: to incentivize voluntary disclosure by reducing civil penalties while effectively eliminating the risk of prosecution. There are two versions of the Streamlined: the offshore version, and the domestic version. Taxpayers should determine which program they qualify for in conjunction with their tax professional and a qualified attorney. As your CPA, Ted Kleinman will review your finances to help you make an advantageous decision about the best and safest path back toward compliance. Whether you need representation in a tax dispute with the IRS, need help making a voluntary disclosure, or simply want to review your tax status for possible credits and deductions, international CPA Ted Kleinman can assist. Ted works with expatriates throughout all corners of Lebanon, including Beirut and Tripoli. To set up a free, completely confidential consultation with Ted, call US Tax Help at (541) 923-0903 today.